While Mickey’s Not-So-Scary Halloween Party is beloved by boys and ghouls of all ages, all it is especially fun for families with toddlers. 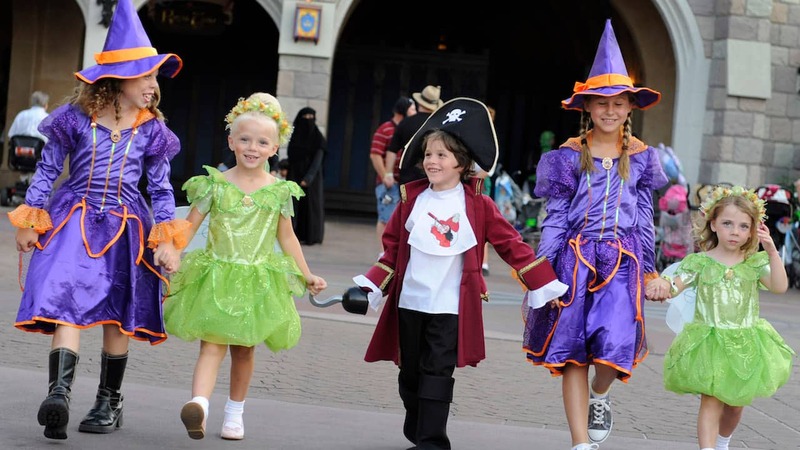 There’s a bevy of kid-friendly activities, loads of candy and yummy Halloween treats, a bewitching fireworks display — plus everyone can dress up in their favorite costumes. With grinning ghosts and costumed characters galore, Magic Kingdom Park is gently transformed with frightfully fun décor. Along with all the extra entertainment favorite attractions are open to enjoy. Besides the sweets, the best part of the night is “Mickey’s Boo-To-You Halloween Parade.” Trust me, it’s enchanting. We talked to some moms and kids at the party and they shared their reactions and tips on how to get the most out of Mickey’s Not-So-Scary Halloween Party.